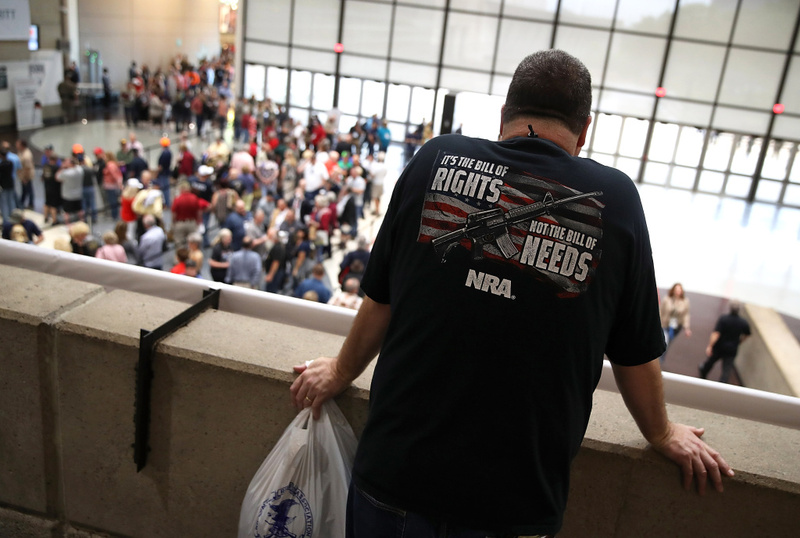 An attendee looks at a line to enter the NRA-ILA Leadership Forum during the NRA Annual Meeting & Exhibits at the Kay Bailey Hutchison Convention Center in Dallas, Texas. President Trump is speaking at the National Rifle Association’s annual convention today in Dallas, Texas, a three day gathering of exhibits, firearm displays and meetings. A multitude of pro gun-control protests are scheduled to occur, with NRA members saying they feel more under attack than in previous years. We check in on the event and the state of the organization and discuss where it's headed.